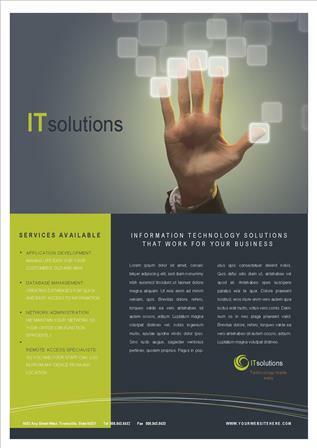 Very professional and modern designed flyer template for an IT business. Once purchased download includes: PDF, JPEG and AI in a ZIP format ready for editing. If you don’t have the software then we can customise the text for you.